Setting Financial Targets for your business could be the pivotal point to the success or failure of your business. Setting financial targets from an accounting perspective is critical. 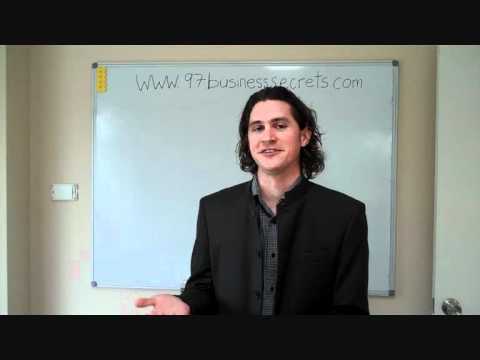 Business Consultant Paul Dwyer explains why. Setting financial targets lets you measure the performance of your business operations. You will be able to measure the investment you are putting in to your business and compare it to the results the investment returns to you. investment. This is where the value of setting financial targets comes in to its own. One point could be to have a budget, and then the next point could be to see the profit and loss sheet. Now it’s vital that the results are measured frequently against the cash investment in to that area of your business.You will soon be able to see areas where your business expenses can be modified to areas that are going to bring your business a greater return, rather than investing in areas that are not profitable. Setting financial targets will allow you to look at the financial statements and measure them against what is being budgeted. Your financial targets should set the spending budget, forecast the returns on that spend and measure the actual results. By doing this it will let you see what’s working and what isn’t working. It’s valuable information to help guide you into the future of your business. One point that is important is qualifying what you consider to be profitable for your business. You may look at an investment that is going to save you “time”. Now you will have to look at that time saving as a dollar figure. If that dollar figure is a saving for your business, then that particular investment is worth continuing. If you aren’t setting financial targets in your business, as a business consultant Paul Dwyer would strongly advise you to spend some time doing so. Setting Financial Targets is one of the business strategies encouraged by 97 Business Secrets to bring you business success.